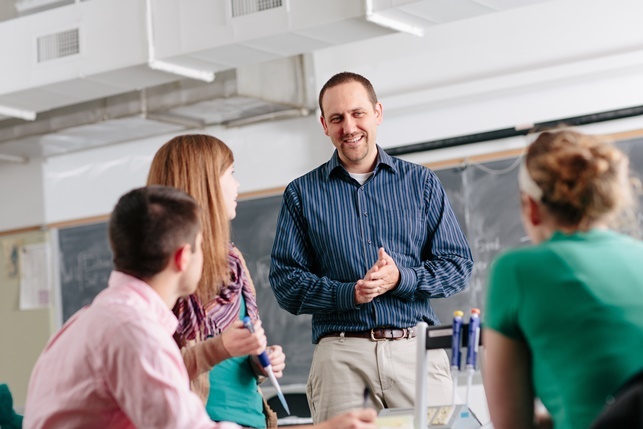 Our professors pursue excellence in teaching—guiding, mentoring, and challenging you to explore the questions that matter. Because of their unparalleled commitment to teaching, U.S. News and World Report recognized Truman as one of the best regional universities in the Midwest for undergraduate teaching. Truman professors have credentials in their own professions and are eager to share their knowledge and experience with you. They help you discover connections across a wide range of endeavors, suggest internships and guide research. With a genuine interest in helping you develop your full potential, your professors put teaching you first. They want to make sure you are fully engaged in your learning so you can discover your personal and professional purpose. Their open-door policy means you can drop by their offices to discuss class, get extra help on an assignment, or just chat about the day’s events. Interested in visiting campus and meeting a professor in your area of interest? We can help you schedule a personal visit. The care and concern that my professors have for their students is the best part of classes here. They come to class every day truly excited to teach their subject.